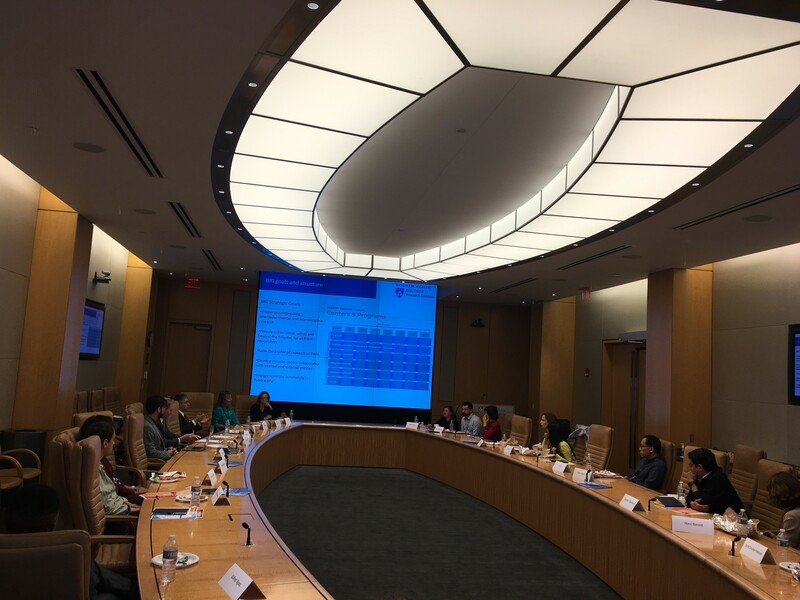 The Brigham Research Institute (BRI) hosted a group of Assistant Professors, and research leadership, for an open discussion of the many opportunities and resources that are available within the hospital. Members of the Executive Committee set a casual tone by making it clear that they related to the concerns of the group and encouraging an open and honest dialogue. In terms of research areas, the group represented diverse backgrounds, showcasing the Brigham’s vast depth and breadth of research. Assistant Professors mentioned their interest in the donation and funding process, and career progression, as well as learning more about what others are doing and how they can better sustain themselves as investigators. Leadership at the meeting described the ongoing process of creating educational sessions, seminars, and mentoring programs that would further benefit the group’s careers. Many attendees described their frustration with the amount of time dedicated to administrative duties. As scientists, they articulated, it is critical that they dedicate as much time as possible to their research, and not get bogged down in time-consuming functions unrelated to their work. Leadership noted that they, too, would prefer to alleviate administrative burden to maximize everyone’s time. This forum offered the Assistant Professors the opportunity to be heard, in addition to making connections with one another and the Executive Committee.